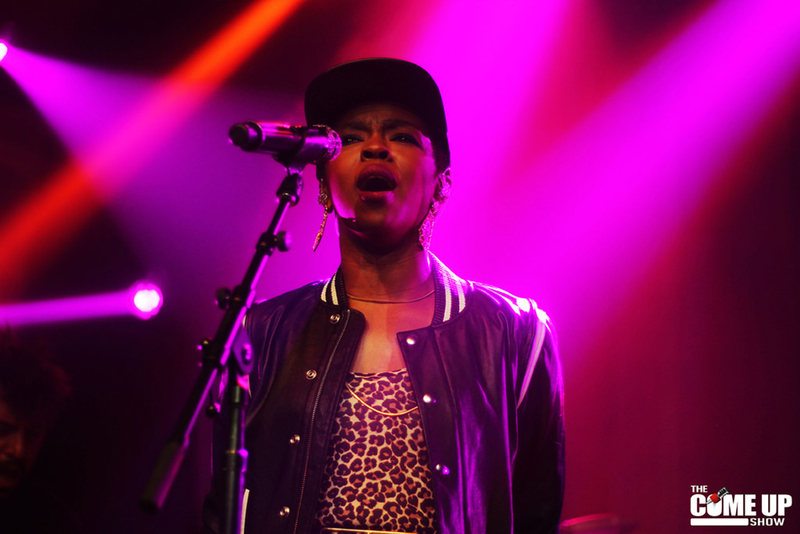 Lauryn Hill continued her long string of canceled shows and late appearances at Heinz Hall Tuesday night, feeding into the stereotype that top-notch fame comes with top-notch arrogance. The R&B singer/songwriter — who peaked in the late ’90s — did eventually come on stage, but it was at 11:20 p.m. instead of the 8 p.m. scheduled stage time. During the nearly three-and-a-half hour lag, angry showgoers took to Twitter to vent their rage. Hill’s behavior was standard practice for her. This time, she ascribed her late arrival to other band members who’d been delayed for inclement weather. Hill, though, is notorious for refusing to take the stage until her “energies” align, which means she often doesn’t pick up the mic until hours after the ticket time. In Atlanta last May, she showed up more than two hours late and then played for only 40 minutes. The venue shut the sound off and cut her performance short because of “strict union policy,” according to the Root’s review. But “better late than never” isn’t a Hill-exclusive philosophy. Kanye West showed up more than an hour late to his show at Penn State in September. Madonna took the stage two-and-a-half hours late for a 2012 show in Philadelphia. On Pitt’s campus, Tyga didn’t show up at all for a March 2014 concert at the Fitzgerald Field House. It’s a fate that’s fallen on music fans of all genres, and it should be enough to make you consider ditching the national music scene — and picking up the local one instead. Talking purely logistics, national artists have to fly in for every show they play, which leaves them vulnerable to flight delays for any reason. “Inclement weather” is the most frequently cited excuse, as Hill claimed with her tardy bandmembers. This is significantly less likely to happen to local artists, who are already in the area and don’t have to make a long trek to the venue — which means you, as a show-goer, are that much less likely to be stood up. In Hill’s case, the audience ended up hearing from a local artist while they angry-tweeted about Hill’s absence. Pittsburgh DJ Motormane, a member of Wiz Khalifa’s Taylor Gang, opened the show and was on stage until 9:30 p.m. to fill time. Hill’s DJ came on the stage after, stalling even longer. Pitt students who’ve been around for a while may find something eerily familiar about Motormane’s move. Another Pittsburgh-based artist and member of the Taylor Gang record, Chevy Woods, saved Tyga’s 2014 concert. Reportedly, Tyga missed his flight to the Steel City due to, you guessed it: inclement weather. Although the crowd was notably disappointed, and a rumor spread quickly that Tyga was playing a private show for the Kardashians and Jenners, local rapper Chevy Woods bounded onto stage and filled the time. I was at that show, during my first year at Pitt, and disappointed but mostly incensed when Tyga stood me up. A big chunk of the audience left when they heard Tyga wouldn’t be showing, but those who did stay were happy when a musician actually stood up on stage, even if it wasn’t the musician they came to see. Tyga, though, earned a bad rap on campus and inspired grudges in hundreds or possibly thousands of students who won’t quickly forget the snub. Though students only paid $5 for Tyga tickets since the show was held at Pitt, fans paid full-price to see Hill on Tuesday night. With both concerts, audience members first paid the ticket price for a national artist and then ended up seeing a local artist anyway. Hill did eventually show, but not before the majority of the crowd left, crying bloody murder if their tickets didn’t get refunded. Beyond just logistics, there’s a stereotype that big-time musicians are unreasonably nitpicky — “divas,” so to speak. Sometimes, these stereotypes hold up. Lady Gaga needs a smoothie station. Mariah Carey reportedly asks for a three-seat couch — but it must be in a solid pattern, no prints. Jay Z demands seven different changing rooms. Those demands and particularities remain unnoticed by the audience, until they begin to bleed into the concert itself. At a Mr. Smalls show on Jan. 18, Deerhunter opened the venue’s doors late as the excited audience waited outside. Through the doors, they could hear the lead singer demanding the same few bars be played on repeat, in an extended version of a soundcheck, according to WPTS Radio’s Jake Sternberg and Jaimie Barca. Most of the crowd seemed to forget the debacle by the time the band began to play, but the delay can’t be denied. Although local musicians can be difficult to work with as well, they also don’t play shows as often or to as large of crowds, which curbs any tendency they might have to take the audience for granted. So, a simple idea. You could spend all of your rent money on show tickets for national artists who might leave you standing on your feet for hours or who might leave you in a murderous rage because you wasted a good night out on a no-show musician. Or you could invest in the Pittsburgh music scene and find some local artists instead. Not only are they more likely to actually show up to their gigs — and not leave you stranded while they sort out their inner vibes — but you may even have enough money left over for a few drinks before the show.